Attention DHO! We have a new dad in our midst! Please welcome talon04 to our fraternity of dads! He joined on 11/25/2018! 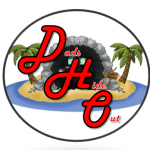 talon04, on behalf of DHO and all the dads here, welcome to our little online man cave. If you want, give a quick hello and maybe tell us about yourself; What brings you here, how many kiddos, and what games do you like to play? Hello everyone, I'm Chris and I'm a father of two girls, I've been an avid online gamer for quite a while with PC and Playstation being my primary platforms. Otherwise I'm an avid outdoorsman who loves to fish when I'm not dealing with the hectic schedule of helping to run a Girl scout troop for my daughters. I'm primarily looking for a new clan In World of Tanks though I'd love to find a place to talk fishing and any other games. Welcome Chris--we've got tankers that fish, no problem there. Sizmic for one, I'm sure there are plenty of others. Does crabbing count? From my home in NJ, we just paddle out in a kayak with a net and scoop them up. True fish story. Welcome! I know there are lots of PS dads on Discord, RDR2 is the big one there right now it seems. Several playing Destiny 2 as well. We just got our PS4 this last week so we are kinda limited on games though RDR2 is on my list for sure.